Durham boasts some of the best restaurants in the country, but it’s the talented chefs in the kitchen of these eateries that have exploded Durham’s food scene. These culinary artists have been given awards that every maker dreams of receiving, such as the famed James Beard Foundation award (We’re looking at you, Andrea Reusing). Many of these Durham food gurus have collaborated and, in some way or another, have had a hand in each other’s success. From Italian to Korean cuisines, the chefs behind the restaurants of downtown Durham will surely cure any culinary craving you might have! In 2002, Andrea Reusing opened the Chapel Hill restaurant, Lantern. This blend of asian cuisine and fresh, local ingredients made it a hit, receiving awards such as one of “America’s Top 50 Restaurants” and “Restaurant of the Year” from the News & Observer. Reusing’s success does not stop there. 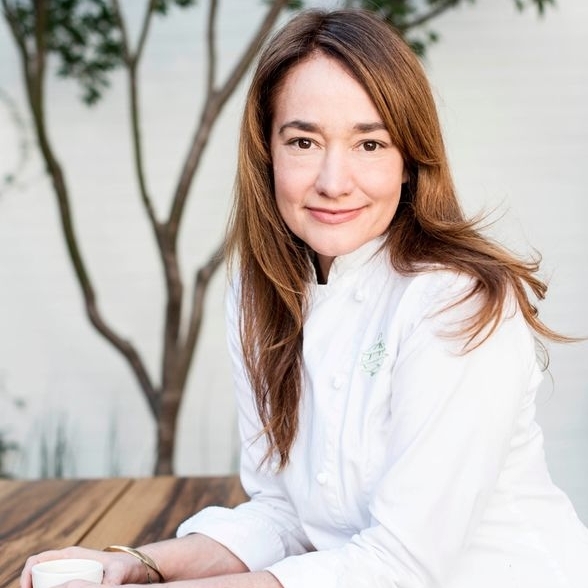 In fact, she was named the 2011 winner of the prestigious James Beard award for Best Chef in the Southeast. Her talents can now be found at The Durham Hotel where she serves as the executive chef. Her seasonally-based dishes showcase her main focus to serve local and sustainably produced foods. Heirloom tomatoes, North Carolina oysters and blue crab are just a sneak peak of the local ingredients she uses in her dishes at The Durham. You can find her recipes in leading cookbooks, like her famous grasshopper sundae featured in Cherry Bombe — perfect for hot, Carolina summer days. Reusing’s own cookbook titled Cooking in the Moment: A Year of Seasonal Recipes, was reviewed by the New York Times as one of 2011’s most notable cookbooks. Get a taste for yourself and stop by the restaurant and rooftop bar at The Durham to try her amazing dishes! Matt Kelly has a few restaurants under his belt, such as the new seafood restaurant, Saint James, Mateo Bar de Tapas, Lucky’s Deli, and Mothers & Sons Trattoria. Kelly’s reputation took off when he started working at Durham’s French eatery, Vin Rouge, where he is now a partner. As a four year James Beard semifinalist, Matt Kelly is the real deal. You’ll find that Kelly’s style of cooking changes from restaurant to restaurant. For example, Mateo, a James Beard semifinalist for best new restaurant in 2013, “blends the flavors of Spain with beloved ingredients and dishes of the South,” while Lucky’s Deli is known for their amazing sandwiches that go easy with a cold beer. In 2016, Kelly opened Mothers & Sons Trattoria with Josh DeCarolis that features an Italian cuisine with handmade pasta. The idea for Saint James came to Kelly on an airplane seven years ago, where he wrote the menu for his dream restaurant on a cocktail napkin! Saint James’ focus is centered around North Carolinian seafood and even includes many Calabash dishes. Oysters, crab dip, lobster, rum cocktails, and local fish are just a few of the items you can find on their menu! You could make a weekend of Kelly’s restaurants alone. Billy Cotter is a Durham native and can do it all! From Japanese to Italian cuisine, he is truly gifted. Cotter’s career started in the kitchen of his stepmother’s restaurant and eventually became the kitchen manager at Lantern in Chapel Hill, working alongside Andrea Reusing. Now, he co-owns Dashi, a Japanese ramen shop and pub, and Toast, an authentic Italian sandwich shop. Cotter’s wife’s family is originally from Italy, thus the inspiration for this type of sandwich shop became a reality. Cotter likes to pair local ingredients with meats and cheeses from Italy to create the ultimate sandwich. Toast has been given multiple awards from Best of the Triangle and Best of Durham for “Best Sandwich” and “Best Soup.” While Dashi has been featured in Southern Living, the New York Post, and USA Today. Cotter blends Asian flavors with the traditional statements of North Carolina, like smoked pork and collards. Gluten-free, vegetarian, or vegans alike will relish Dashi’s accommodating menu too. These two very distinct restaurants will not disappoint, so make time to stop by and give them a try! Josh Decarolis received his culinary degree from Connecticut Culinary Institute and got his start at La Morra Bacari in Massachusetts. Decarolis made his mark on Durham and Chapel Hill’s food scene when he was a chef at Mateo and Jujube. Matt Kelly, owner of Mateo, saw the skills that Josh possessed, and thus decided to partner up with Josh to open Mothers & Sons Trattoria. With Italian roots, DeCarolis explains that the name of the restaurant comes from “the closeness he experienced amongst Italian families such as his own- especially between mothers and sons–often centered around cooking traditions and the dinner table.” In attempts to perfect those traditions, he spent four months in Italy learning how to properly make handmade pastas, a technique that is now a staple at Mother & Sons Trattoria. In fact, it is the first restaurant in the South to focus on handmade pasta. Indy Week Magazine, the News & Observer, and Garden & Gun are just a few of the publications that Mothers & Sons has been featured in. Not many people can successfully open and run two restaurants within months of each other, yet for Michael Lee it came naturally. Lee’s first restaurant, M Sushi, uses fresh, seasonal ingredients from the United States, Korea, and Japan to create a simple menu that gives customers an authentic omakase-style dining experience. On the other hand, M Kokko provides the traditional Korean cuisine with a focus on chicken (kokko is slang for chicken in Korea). A component to experiencing Lee’s food is very much tied to the proper drink selection, which, according to Lee, can make or break a meal. Thus, you’ll find the drink menus are designed with the purpose of being small so that the food pairs well with the designated drinks. Durham, get ready because Michael Lee is still expanding. His “vision includes a total of seven restaurant concepts, all within walking distance of each other in downtown Durham.” Residing in Scratch Bakery’s old home, Lee’s new endeavor, M Tempura, will have a tempura course menu, a Japanese dish of fish, shellfish, or vegetables, fried in batter. 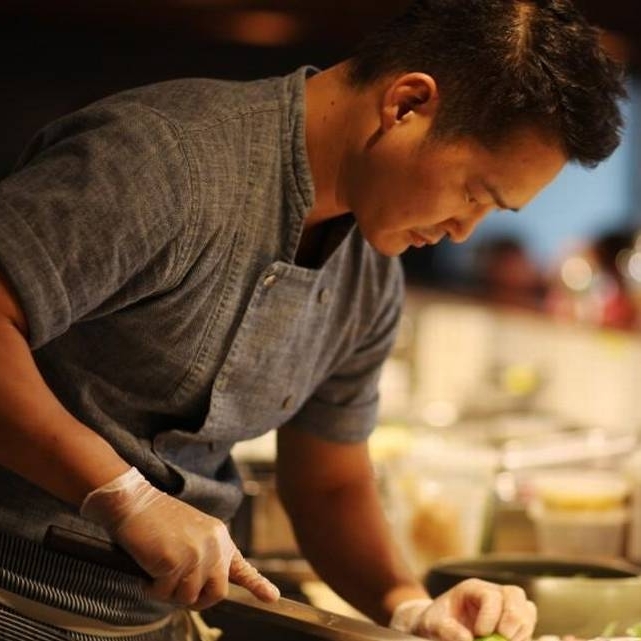 Soon after M Tempura takes off, Lee hopes to create a Korean BBQ and Taco joint! We cannot wait to see what else Michael Lee has in store for downtown Durham. Behind great food are people who have dedicated their lives to perfecting each flavor. Take the time to eat local and get to know the chefs behind some of Durham’s well-known establishments. We believe it makes the food taste better! Which restaurant are you most excited to try? Have you eaten at any of these restaurants mentioned above? We want to hear your experience! Incredible video of the place we call home. Video by Joshua Gunn and Storyboard Media. 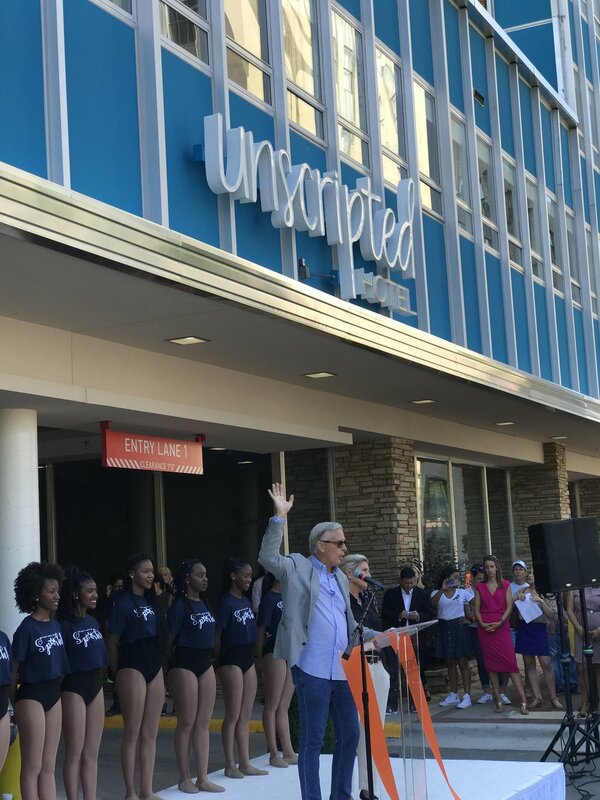 It was a big day for our friends Jane and Greg Hill as they cut the ribbon on another great project, The Unscripted Hotel. Unscripted will be a centerpiece in the unique community that we call Durham. It features a full kitchen, bar and a rooftop patio that are open to the public. Check out some highlights from the ribbon cutting today and stay updated on our blog for more exciting things happening in The Bull City! When you think about what makes Durham a unique destination, a lot comes to mind – great events; a celebrated food scene; a welcoming community. But one of Durham’s special selling points is its personality – that energy that you only catch by being here. Check out this beautiful reflection of Bull City from our friends at the Durham Convention & Visitors Bureau.